Men’s tee shirts are an essential part of your wardrobe. They fit practically any outfit and occasion. That’s why having a great selection of quality-made t-shirts is important. 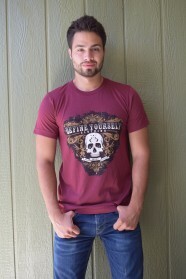 DefineYourClothing.com offers a great selection of premium cotton t-shirts that are soft and exhibit unique designs. 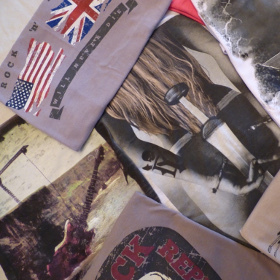 Our line of men’s tees is inspired by rock culture for that stylish and badass look, with a dash of vintage in it. At the same time, they’re designed for everyday performance. They come in various styles: with distressed necklines, with a crew neck or many other options. Our superior ring-spun cotton, used in our men’s tees is great for comfortable everyday use.